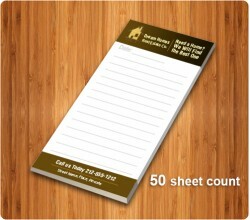 Advertising your real estate business with custom real estate notepads is a value and cost effective marketing technique which has stood the test of time. It offers visibility to simple business messages with ease and helps to keep your brand name the in customer’s minds! Real estate professionals have been giving away personalized real estate notepads (from our collection) since a few years back last many years! We never compromise on the quality of these promotional real estate notepads and each of them is developed to offer maximum utility to the user. 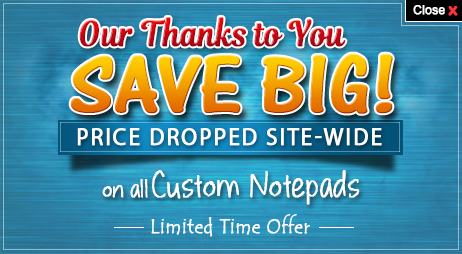 Start up realtors, land developers, construction houses, architects are some of the professionals who can derive high value from their campaigns by giving away cost effective personalized realtor notepads. Customers will think highly of them whenever they take it out to scribble something on it. They will remember them at the right time when a thought of real estate investment crosses their minds.